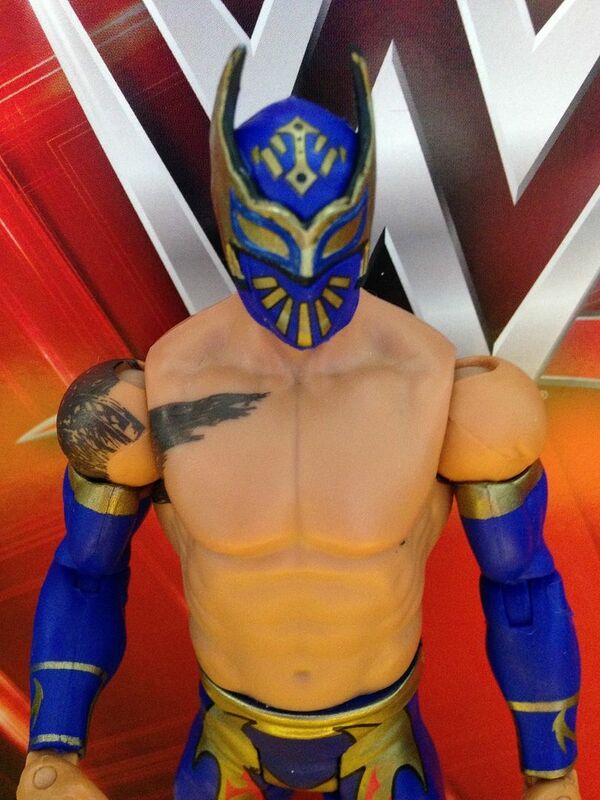 I'm hoping that the release of this Sin Cara and the upcoming yellow and black version of him doesn't mean we won't get one split between the original gold and blue and the white and gold ala Mistico. 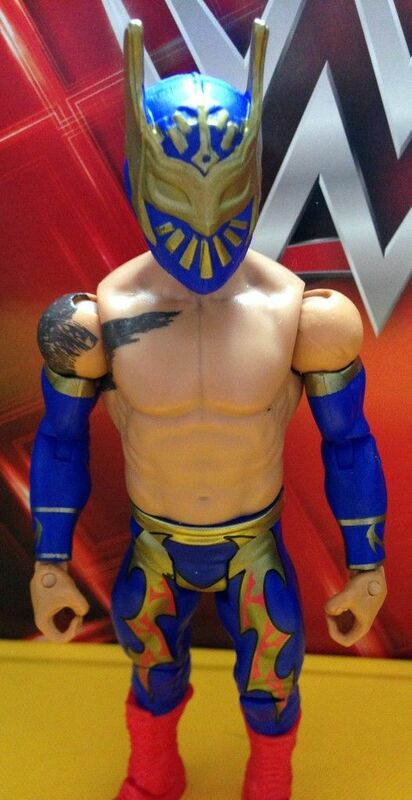 But, I suppose there are enough Sin Cara looks out there that we simply cannot have them all. This is one of the Sin Cara looks I was hoping for, as it was prior to the Lucha Dragons (I believe) and Sin Cara was in this weird place frequenting Main Event and Superstars. 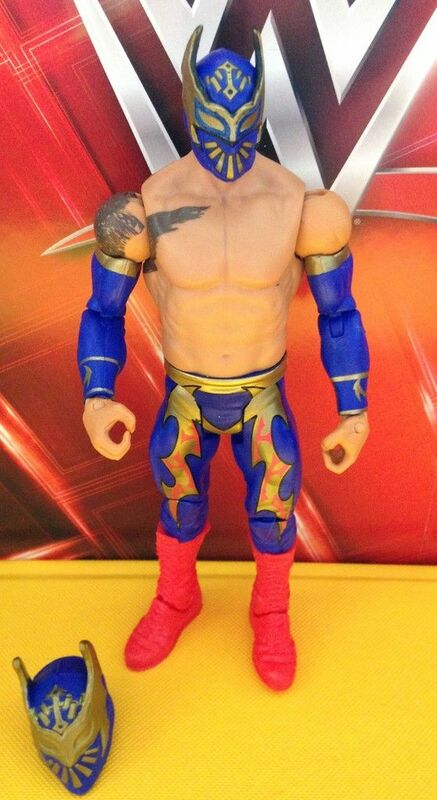 Though it stands right now that Lucha Dragons are rumored to be an upcoming Battle Pack, I would break my rules of buying tag team partners by themselves and get both Sin Cara and Kalisto as Elite figures if released in the same series in matching Lucha Dragon outfits. I'm not sure what the idea is behind this "Then Now Forever" series. Sin Cara just seems to be in here with Seth Rollins, who I guess has come from The Shield to being on his own, and then there is Chris Jericho who is in this set as well and has his short hair scan so I'm not sure what's going on exactly. Seems like a missed opportunity for a Basic flashback Jericho, but what do I know? I just buy the figures I like. Worth noting is that a large factor in wanting to buy this figure as well is that he comes with an extra mask which has been on everyone from Dean Ambrose to the new movie version of the Kraang since we got it. Even though Quentin prefers that Dean Ambrose wears it for some reason, I still like putting it on Sami Zayn with the storyline being that Sami Zayn has fallen so low in his losing ways that he is now training under the wisdom of Sin Cara and is going by the name "Sin Cara Jr." Hey, stranger things have happened in WWE.